Hello everyone... Here is the next instalment of my 'What I'm Watching' series. 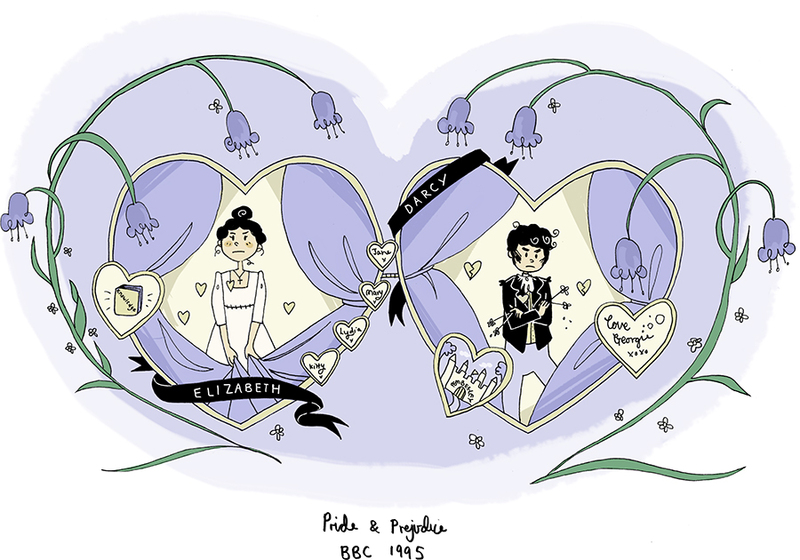 Another oldie today, the classically popular BBC adaptation of Pride and Prejudice! If you can Adam and Eve it, this was another book that I gave myself no time whatsoever to read while at university. I have to be honest and say, at the risk of having my English degree revoked, that I am generally not a Jane Austen fan. At the risk of offending everybody on the planet I won't go into why I don't fawn at her feet. I do however love Colin Firth, like most rational people, and so even I can't resist the legendary 1995 BBC adaptation. When I first watched it years and years ago (doing GCSE revision with Miss Kelly... throwback shoutout there), I remember thinking that the casting of Mrs Bennet and Lydia was awful. They were heinously annoying... Screechy... Totally detracted from the swishy melodrama of everybody else. Watching now, I realise that is exactly the point of them. Pride and Prejudice was a satire after all, so I can at least give Austen her credit there. She knows how to criticise. Anyway... I won't harp on about it. Everyone and their dog knows this is a good series. It's all on youtube, and the best rainy day viewing the internet has to offer. Apologies to all who are upset that I made Darcy's trousers purple.